The Nos Aruba 2025 process ensures that the voice of the general public is heard loud and clear and becomes the driving force for Aruba's future development. Nos Aruba 2025 is geared towards formulating strategic plans that will be carried out step by step in realizing the vision of Nos Aruba 2025. By stimulating dialogue among the public sector, private sector and all branches of society, we will be able to establish a far-reaching vision and the ways in which to implement our goals. The time has arrived for us to express the direction we would like to take the island, and together, determine our future. How is Nos Aruba 2025 different? This project will encompass contributions from a broad base of the Aruban community. The resulting dialogue will form the basis of the vision. 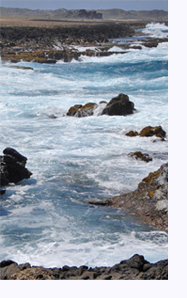 Strategic plans will be carried out with sufficient time allowed in the realization of Nos Aruba 2025. 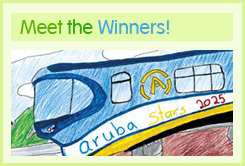 The goals for Nos Aruba 2025 that come to light as a result of this process will be carried out in an integral manner. Issues, related to the economy, social concerns and the environment, will be brought into focus and into balance. This approach will allow for the successful creation and realization of the vision through the active participation of the varied members of our community. I love my island. I want to work towards a better Aruba. How can I offer my support? Share a story in the forum of the Nos Aruba 2025 website, www.nosaruba2025.aw, that answers the question: As you look back on your life in Aruba, when have you felt most alive and inspired or proud? Think about a specific time, event or situation in your personal or work life that was a high point, a peak experience. Share a story that describes that feeling. Where were you? When did it take place? Who else was involved? Why is it important to you? How do you still feel about it today? Post your favorite picture on the website, and contribute your viewpoint on different subjects, analyses and discussions. Participate in the forum, and contribute your viewpoint on different subjects, analyses and discussions. Actively participate at the events. Participate in commissions. The commissions are open to anyone in the Aruban community who wants to contribute to Nos Aruba 2025 by participating in activities regarding analysis, discussion and reporting.